Heywood Hill is delighted to be the official bookshop of Literary Review. Every book reviewed in the magazine is available to purchase at Heywood Hill and every order will arrive beautifully packaged in Heywood Hill's famous wrapping. If you wish to make an order for books not listed on this page or if you have another enquiry please email us, telephone the shop or come to visit us in person. Heywood Hill and Literary Review have teamed up to create a selection of distinctive literary experiences! Sign up for A Year in Books with Literary Review and receive a monthly book selected by Literary Review’s editor, or choose one of our elegantly packaged Literary Review Gift Boxes for a bespoke collection of thoughtfully chosen books. 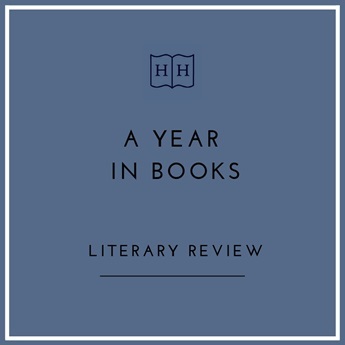 A half price Literary Review subscription is included with selected gift products.